Friends, I have added the PPDT tips in flow chart representation to clear the PPDT - Picture Perception and Description Test on day 1. Many friends, struggle in this part. Nothing to worry friends, just follow the steps and prove yourself. 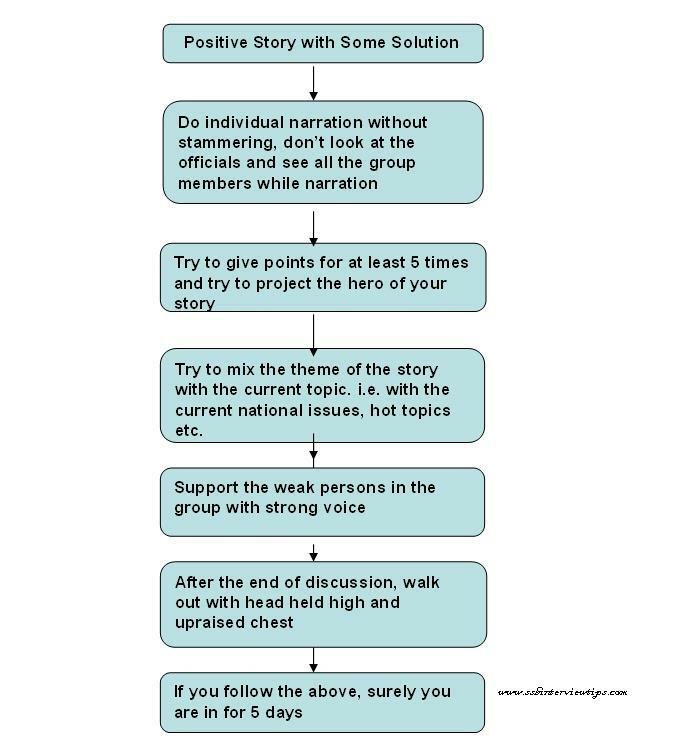 Narrate the story by looking at every members eye of the group with smiling face. 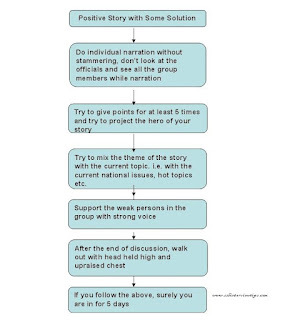 During the group discussion, try to give 5 strong points supporting your story. Help the weak, give chance atleast once to the weak person in the group. Never and ever look at the officials. Dont argue with any one. Walk with calm, smiling face with upraised shoulder and head held high. except for point 3 everything else seems to help. the thing is normally the discussion turns out to be a big fight where getting opportunity to speak 5 times might be very difficult. more over i have seen people who haven't utter a word during the discussion being selected.